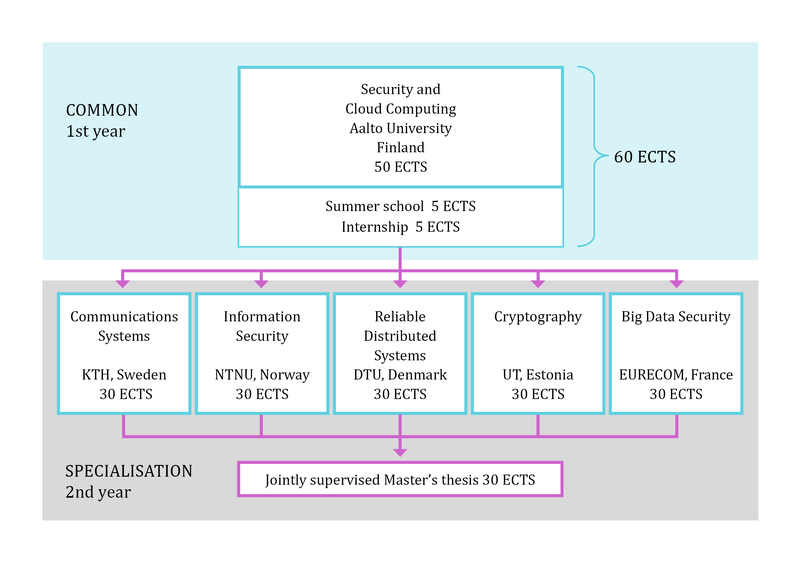 All SECCLO students take their first-year studies at Aalto University. Applicants may indicate their preferences for the second-year specialization in the online application form. At the admission phase, however, the student is only admitted to the first-year university, Aalto University in Finland. There is a separate application and selection procedure for the second-year specialization. During the first-year spring, the students submit an application for the second-year specializations. The consortium committee will evaluate and decide on the selections. The selection is based on the student’s study success during the first semester studies at Aalto University, and on the student’s motivation and suitability for studies in the specialization area. Skype interviews may be used to determine student’s suitability for the second-year university (KTH, NTNU, DTU, UT, EURECOM). The SECCLO consortium allocates students to the second-year universities based on the above-mentioned criteria, students’ preferences and on the availability of seats at each university.